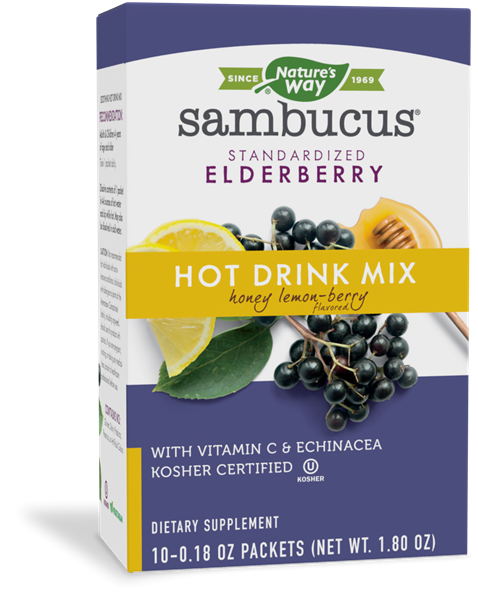 Sambucus Hot Drink - Nature's Way®. Adults & Children 4 years of age and older: Take 1 packet daily. Dissolve contents of 1 packet in 4-6 ounces of hot water and sip while hot. May also be dissolved in cold water.